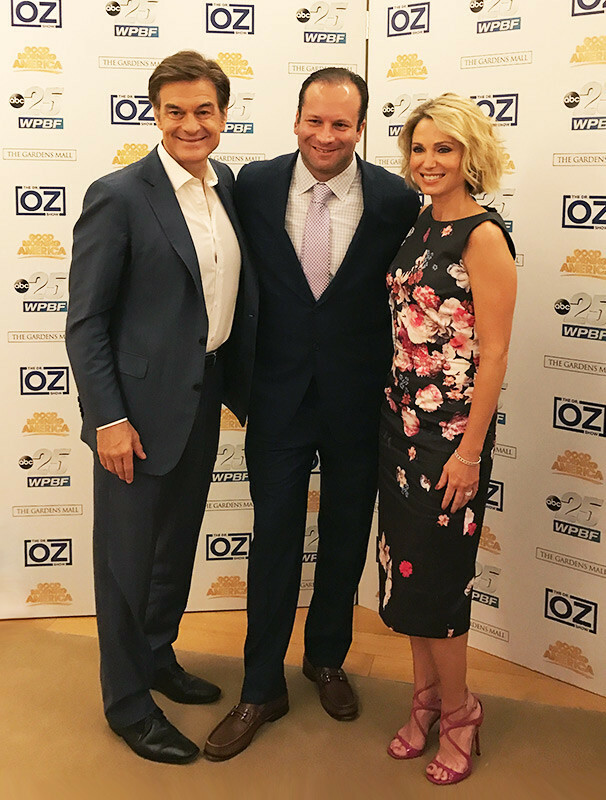 On April 1, 2017 Dr. Dan Sperling joined headliner Dr. Mehmet Oz, special guest Amy Robach, and other featured experts at the WPBF 25 Health and Safety Festival in Palm Beach Gardens, Florida. Dr. Oz and his fellow presenters covered relevant health and safety topics designed to educate, inspire and empower wellness for South Floridians. As a leading authority on state-of-the-art MRI and MRI-guided treatment interventions, Dr. Sperling discussed his revolutionary treatment called MRI Guided Focused Ultrasound, or MRgFUS. This therapeutic approach to healing diseased areas in the body uses no surgery or radiation. Instead, using MRI scans to plan and guide treatment, sound waves are aimed at the affected area from different directions. These beams pass harmlessly through healthy tissue until they meet, where they precisely ablate (destroy) the target tissue. MRgFUS is safe and effective. It is done on an outpatient basis to treat essential tremor (ET), cancer that has spread to the bone and other targeted conditions. Recovery is very rapid and most patients have no pain and few to no side effects. Admission to the WPBF 25 Health and Safety Festival was open to all, thanks to the sponsorship of Futures of Palm Beach and numerous other area businesses, healthcare providers and health organizations. In addition to Dr. Sperling’s presentation on MRgFUS, participants learned about vital and timely topics such as the Zika virus, medical marijuana, opioid addiction, organ donation, saving lives with CPR, and much more. Dr. Oz also led a panel discussion of distinguished local medical professionals, and Amy Robach from ABC’s Good Morning America was on location to share advice for a happy, health life. Read more about the event and see more video here!